Jason Thomas Mraz (born June 23, 1977) is an American singer-songwriter. Mraz first came to prominence on the San Diego coffee house scene in 2000. At one of these coffee houses, Mraz met percussionist Toca Rivera and released Live at Java Joe's. He released his debut album, Waiting for My Rocket to Come, which contained the hit single "The Remedy (I Won't Worry)", in 2002, but it was not until the release of his second album, Mr. A-Z, in 2005, that Mraz achieved major commercial success. The album peaked at number five on the Billboard 200 and sold over 100,000 copies in the US. In 2008, Mraz released his third studio album, We Sing. We Dance. We Steal Things. The album debuted at number three on the Billboard 200 and was a commercial success worldwide, peaking in the top ten of many international charts. Mraz's international breakthrough came with the release of the single "I'm Yours" from the album We Sing. We Dance. We Steal Things. 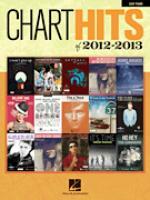 The single peaked at number six on the Billboard Hot 100, giving Mraz his first top ten single. The song was on the Hot 100 for 76 weeks, beating the previous record of 69 weeks held by LeAnn Rimes' "How Do I Live". The song was a commercial success in the US, receiving a 5x platinum certification from the RIAA for sales of over five million. The song was successful internationally, topping the charts in New Zealand and Norway and peaking in the top ten of multiple international charts. Instantly printable sheet music by Jason Mraz for piano solo of EASY skill level. 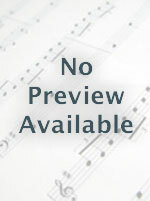 Guitar TAB, Sheet Music Download. Artist: Jason Mraz. Writer: Jason Mraz; Michael Natter.